The heritage of California wine unfurls across its benchlands as an encyclopedic array of gnarly old vines. They tell the stories of pioneering immigrants – and, in turn, the stories of their homelands. They quietly stand, many in plain sight, speaking of terroir in a time before appellations. Few winemakers have been as adamant in the defense of these living time capsules – and as progressive in sharing their stories – as Tegan Passalacqua. A third generation son of Napa, but the first winemaker of his family, Tegan navigates the state’s diverse Zinfandel plantings as if they were in his childhood backyard (and some, more or less, are). He does so as the winemaker of Turley Wine Cellars, a title that falls short of fully describing the enormity of his endeavor. 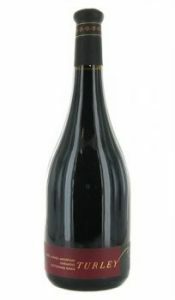 With an unwavering commitment to organic viticulture and the preservation of old vines – tenets of the Turley ethos since its founding in 1993 – Tegan oversees more than fifty vineyards in twelve counties, many of which are singularly celebrated in one of Turley’s some three dozen bottlings. Tegan’s preservationist hunger does not end with his workday. There is Kirschenmann, a vineyard he owns in Mokelumne River, Lodi, which was planted to ungrafted, head-trained Zinfandel in 1915. There is the Historic Vineyard Society, an organization committed to the preservation of historic vineyards through education, of which Tegan is a co-founder. And then there is Sandlands. A quiet project enwrapped in cultish fever, Sandlands is a rigorous and ongoing engagement with the head-trained, dry-farmed, own-rooted, old vines of California. It is a catalog of Tegan’s tireless study, a vehicle for his insatiable pursuit of a future for the past. Planted in 1886, this Cinsault vineyard is the oldest of its kind in the country—perhaps even beyond. The vines are gnarly, head-trained and planted on their own roots. 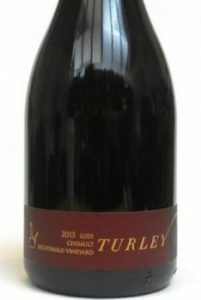 Though the vast majority of Turley’s wines are single vineyard designates, Juvenile is actually composed of a variety of young vines that have been replanted in several of their old vine sites. They tag the vine when replanted so as not to mix the brand new vine with its much older neighbors, then pick these young vines separately and make a distinct wine. The vines that make up Juvenile range in age from about 6-25 years, and are pulled from 15 vineyards across California, including Hayne, Ueberroth, Pesenti, Salvador, and Vineyard 101. This wine is an homage to Joe Duarte, a prominent grape grower in Contra Costa who first introduced Turley to the incredible vineyards of the area. The wine is comprised of fruit from the Evanghelo, Mori, and Salvador vineyards, all in Contra Costa. Owned and farmed by Tegan, Kirschenmann was planted to ungrafted vines in 1915 in the silica-rich sandy soils of the east side of the Mokelumne River AVA. Thanks to the river’s cool waters and delta breezes, these head-trained, dry-farmed vines are constantly protected from the heat. Rattlesnake Ridge is an estate-owned and certified organic vineyard. Located at the top of Howell Mountain at about 2600 feet, the vines see more sun here then they would on the valley floor; however, it is much colder due to the elevation, and can even snow in the winter. Mead Ranch is planted at about 1600 feet on Atlas Peak, on the south eastern side of Napa Valley. The vineyard was originally planted in 1880, though Turley’s block is primarily from 1970. This vineyard is head-trained, planted in red volcanic soil.